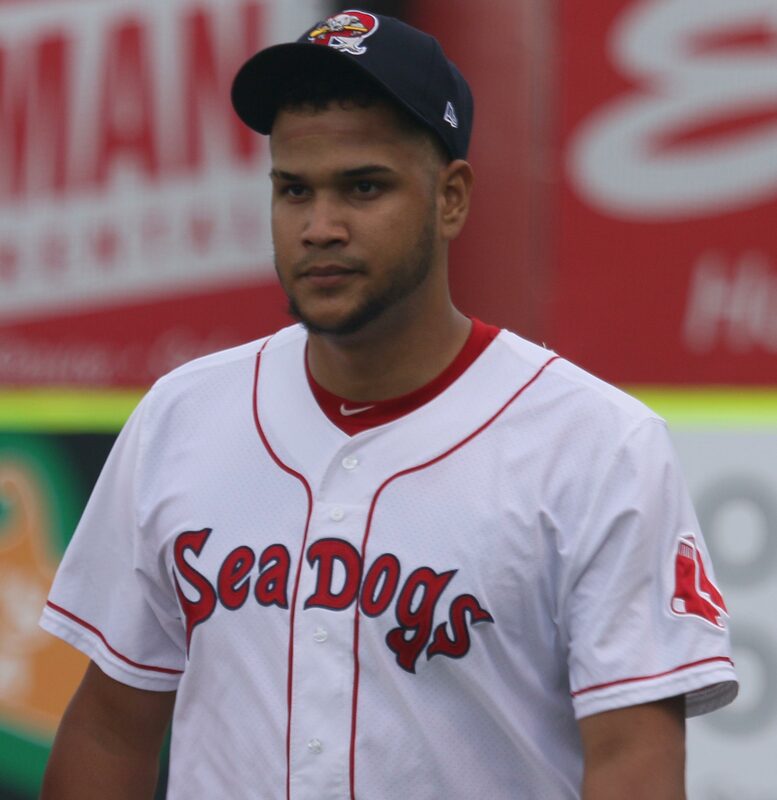 ERod peers at one of the many Fisher Cat baserunners. (Portland ME) Not hard to figure out what was going on. 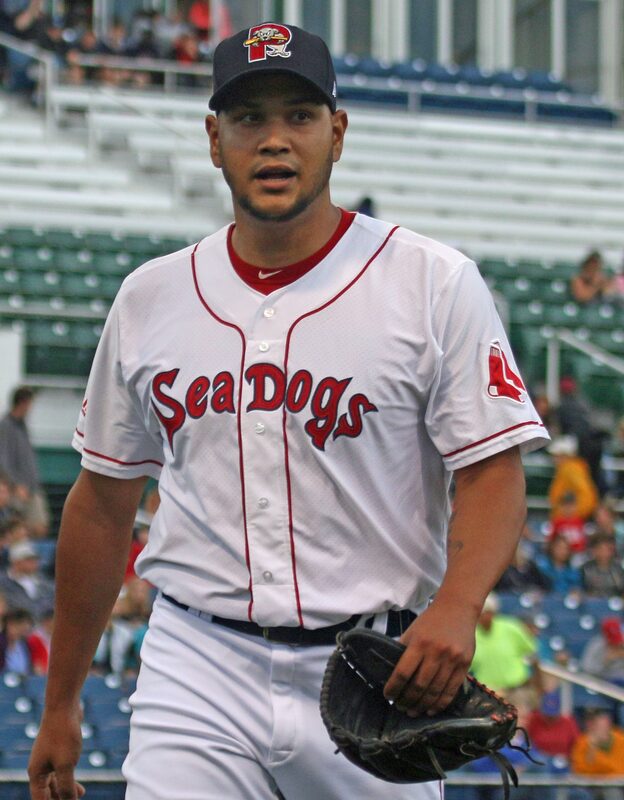 It was a spring training outing for Boston Red Sox pitcher Eduardo Rodriguez at Hadlock Field on Thursday night. 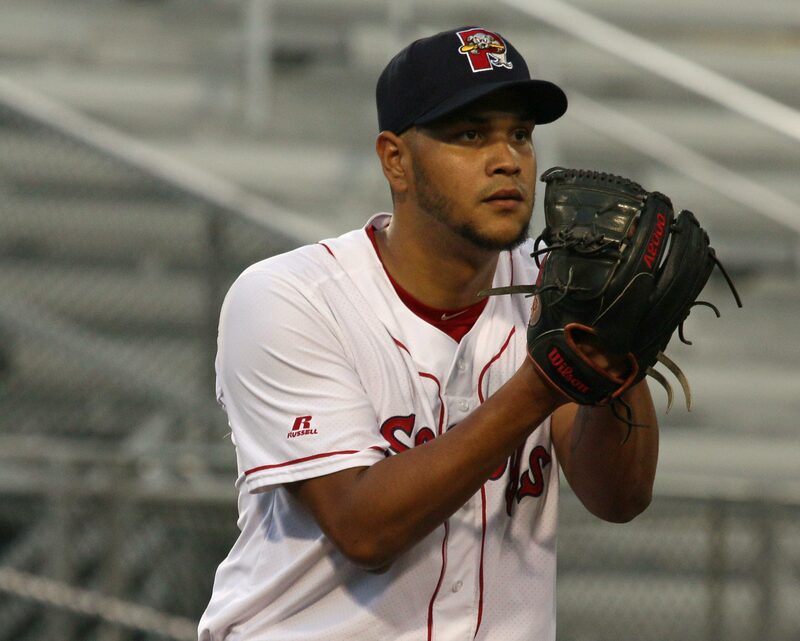 The 24-year-old lefty pitched “competitively” for the first time since his knee injury in Baltimore on June 1st. 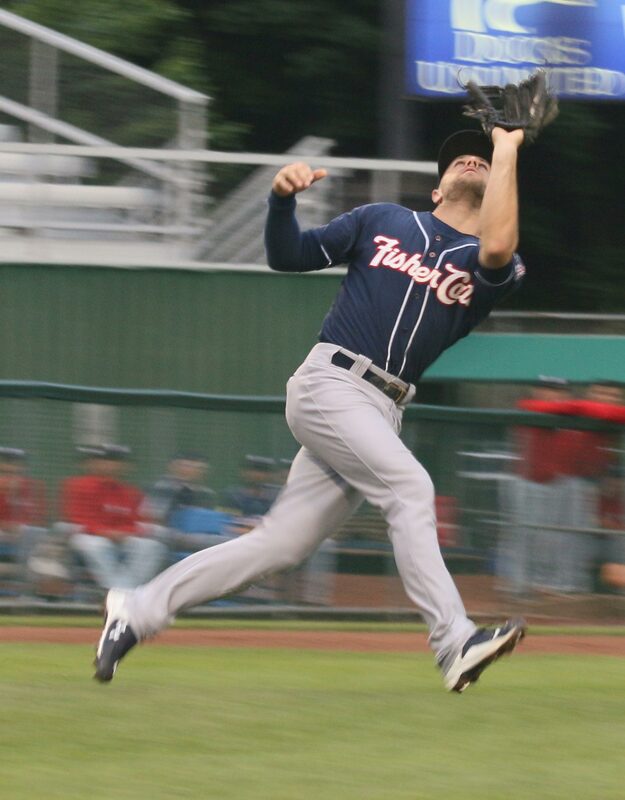 Tonight’s performance by Eduardo centered on throwing strikes and using an assortment of pitches. Getting outs were of secondary concern. The score didn’t matter. 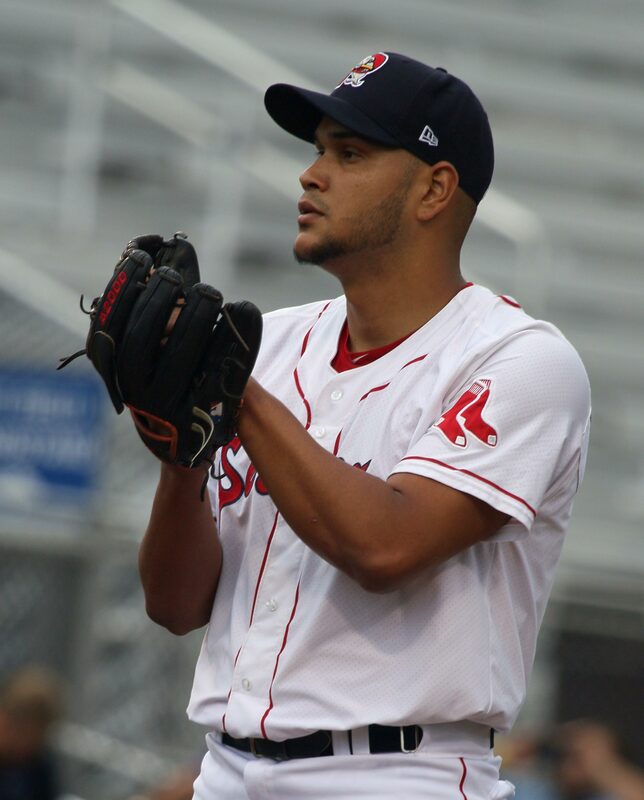 I have no doubt that those who came to see a major leaguer in action were stunned by the way Eduardo’s three innings went. How do five earned runs and nine hits sound? 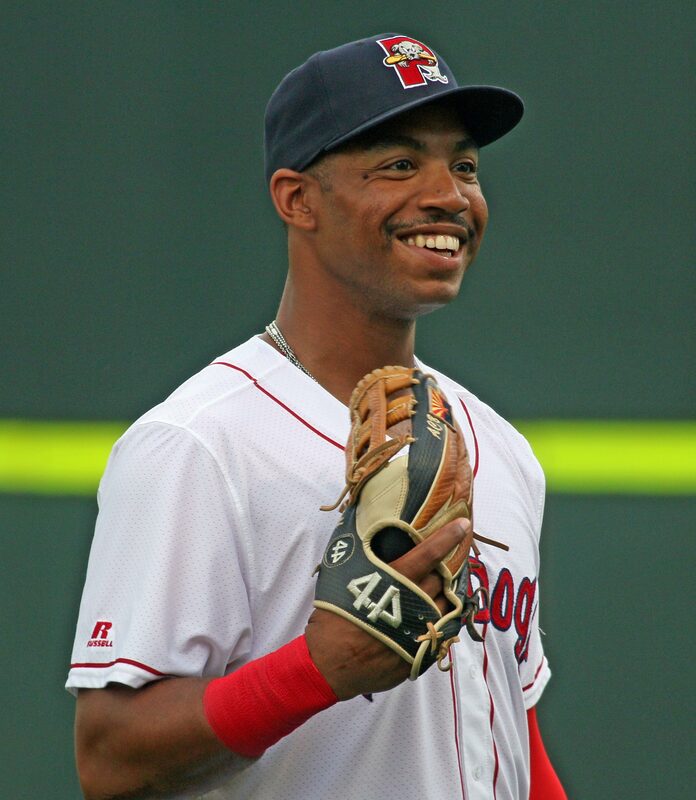 The New Hampshire Fisher Cats feasted on Eduardo’s heavy dose of strikes. 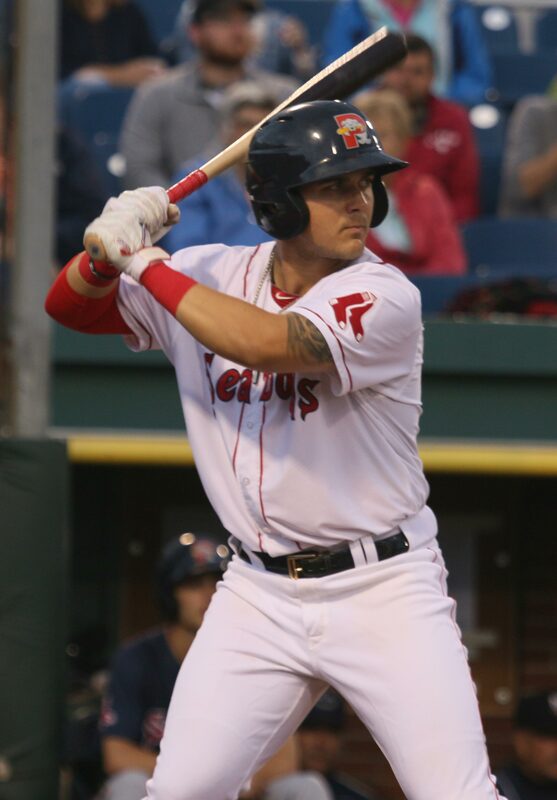 Leadoff hitter Jonathan Davis took ER out of the park on the second pitch of the opening inning. 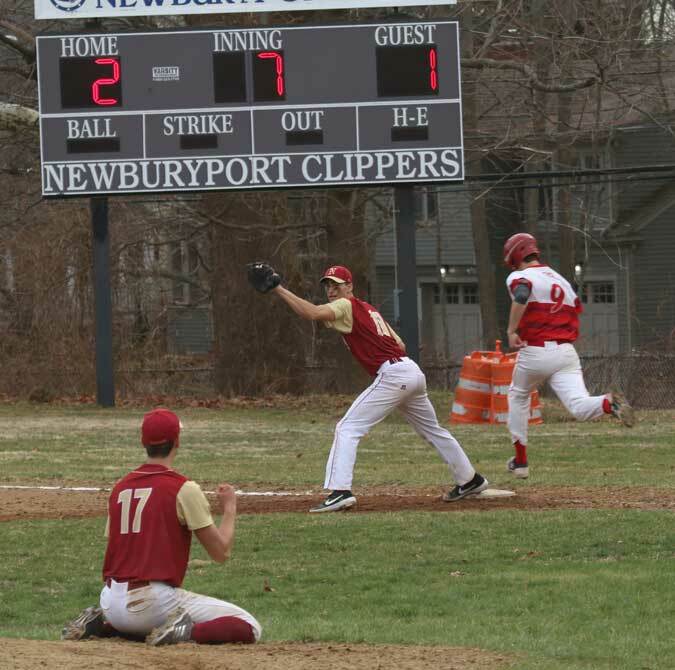 Eduardo did end up striking out three batters in the 3rd inning but before that it was bang, bang, bang for the Manchester (NH) team. 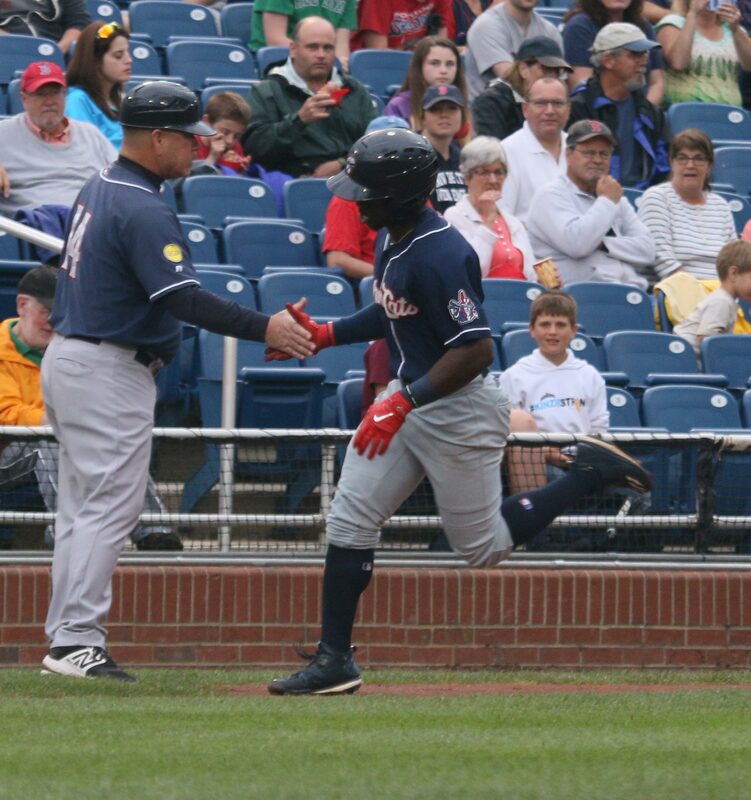 Jonathan Davis homered on Eduardo’s second pitch. 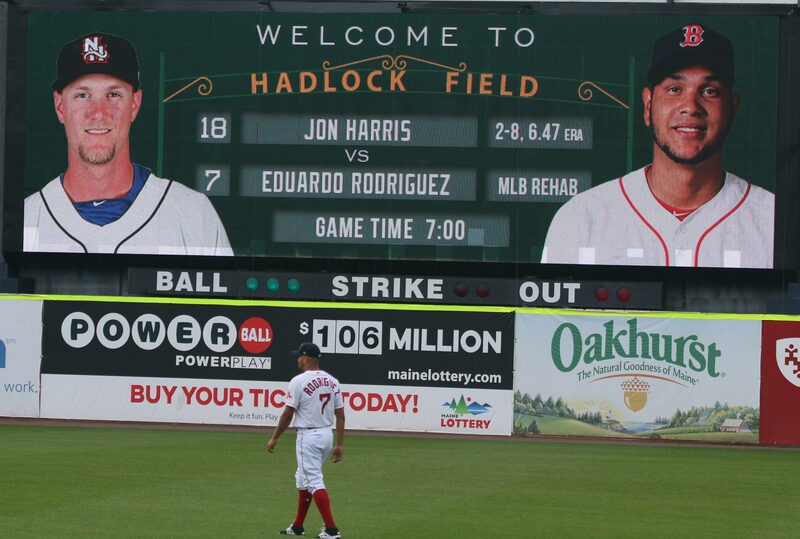 Not sure when Eduardo will return to the Red Sox rotation. I would have to believe that there will be more rehab starts ahead for him. 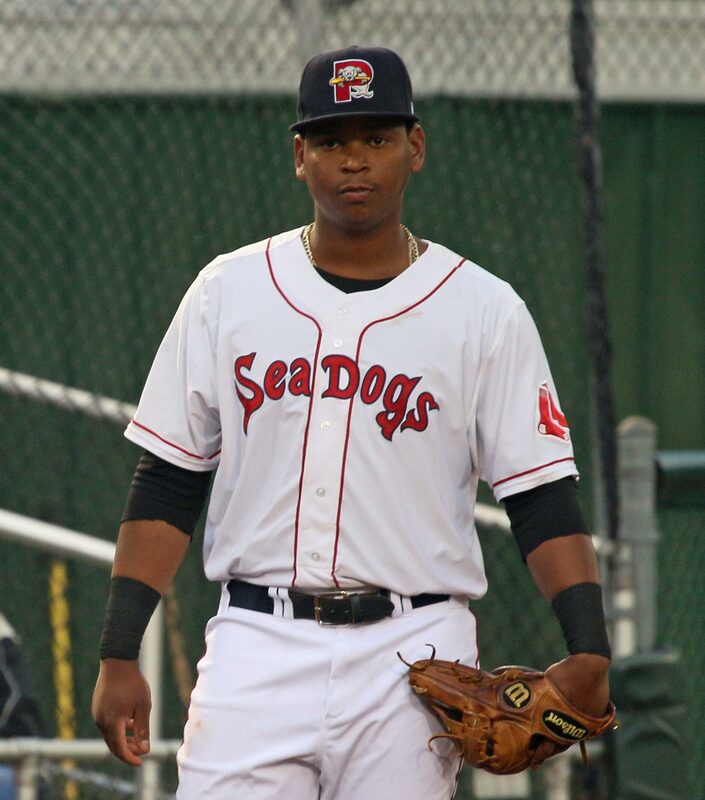 Tonight I got another look at 3B Rafael Devers. 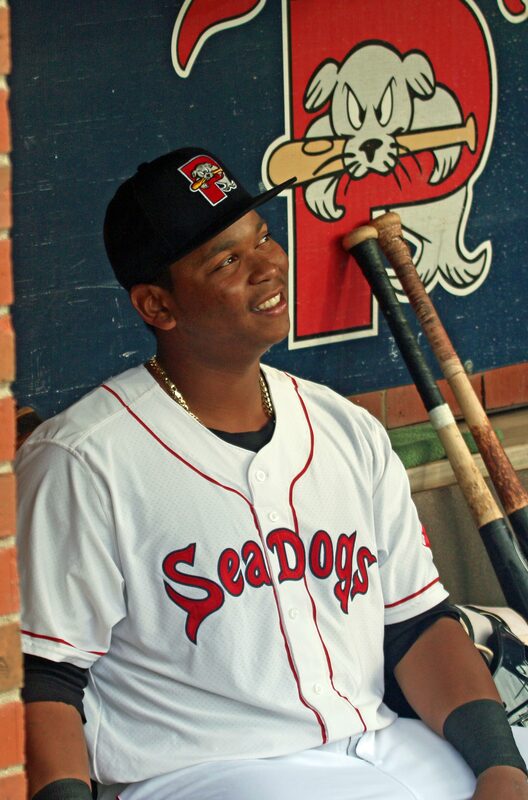 I am stunned that he hasn’t been moved to Pawtucket yet. Rafael is comfortable in the field and is making regular solid contact at the plate. 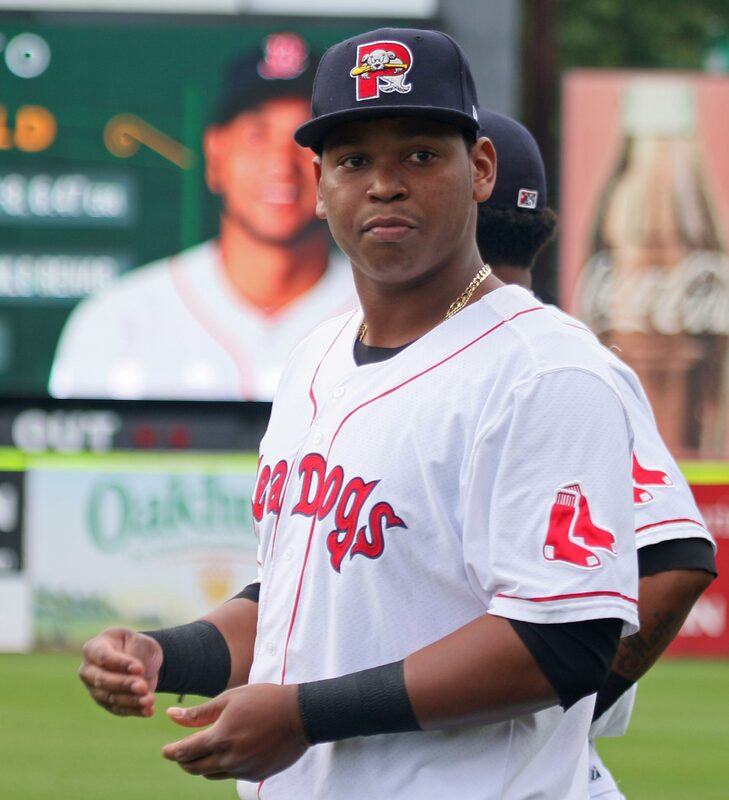 The times I saw celebrated Yoan Moncada last season I was not overwhelmed by him because of his lack of consistent contact. Rafael puts the ball into play regularly. 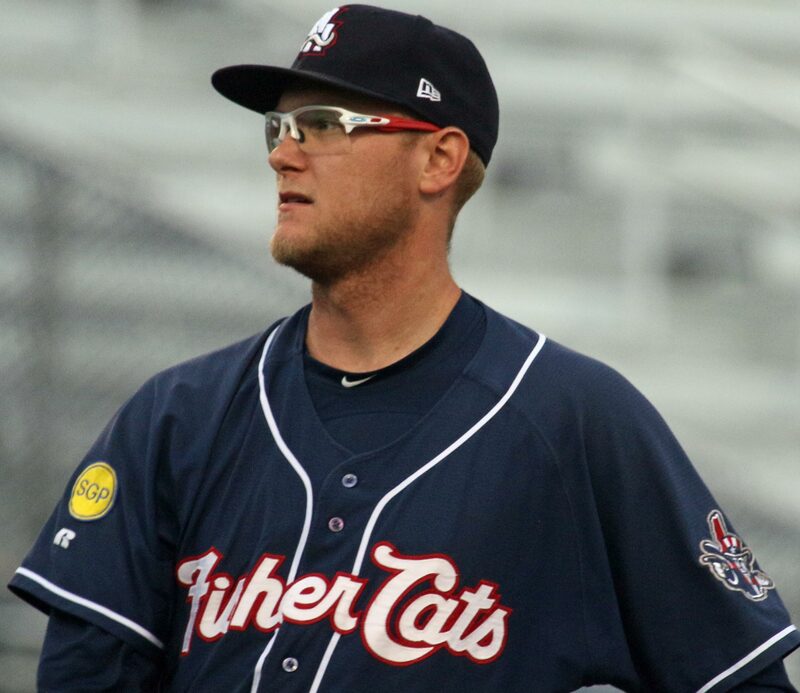 The “other pitcher” in tonight’s game was Jon Harris. Jon was Toronto’s #1 pick in the 2015 draft. 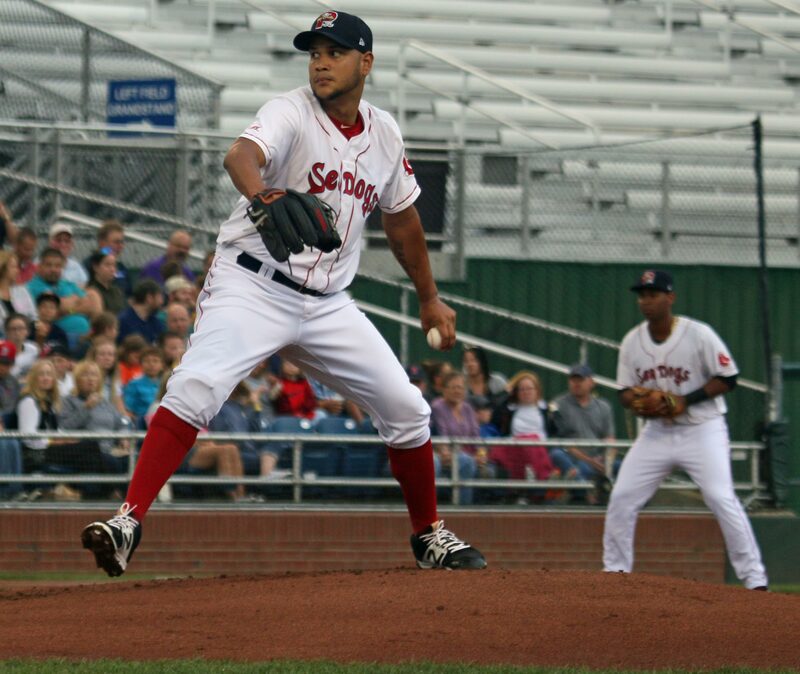 He pitched seven terrific innings against Portland giving up only five hits and two runs. Jon’s 3-8 record would suggest a tough season to date but not tonight. Jon’s last win, before tonight, was on May 23rd against Portland. 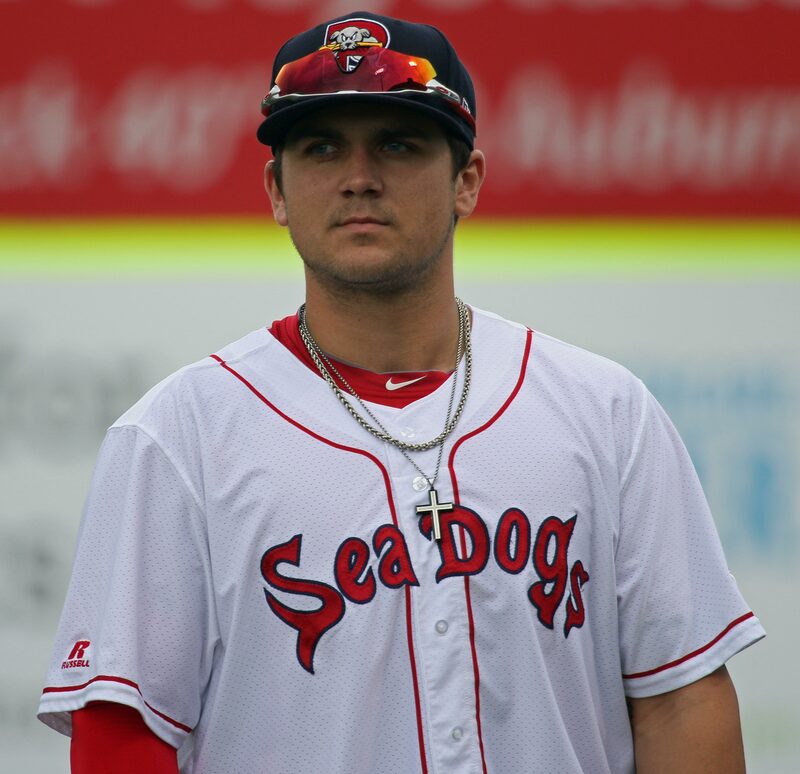 Got my first look at Michael Chavis. Michael will be taking over 3B exclusively when Rafael heads south to either Pawtucket or Boston. 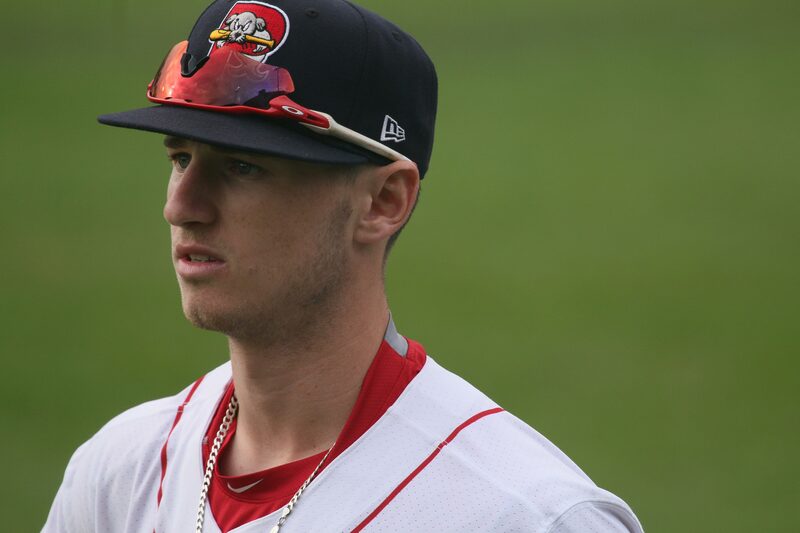 Michael was Boston’s #1 pick in 2014. He swings hard and may strike out often the rest of this season. 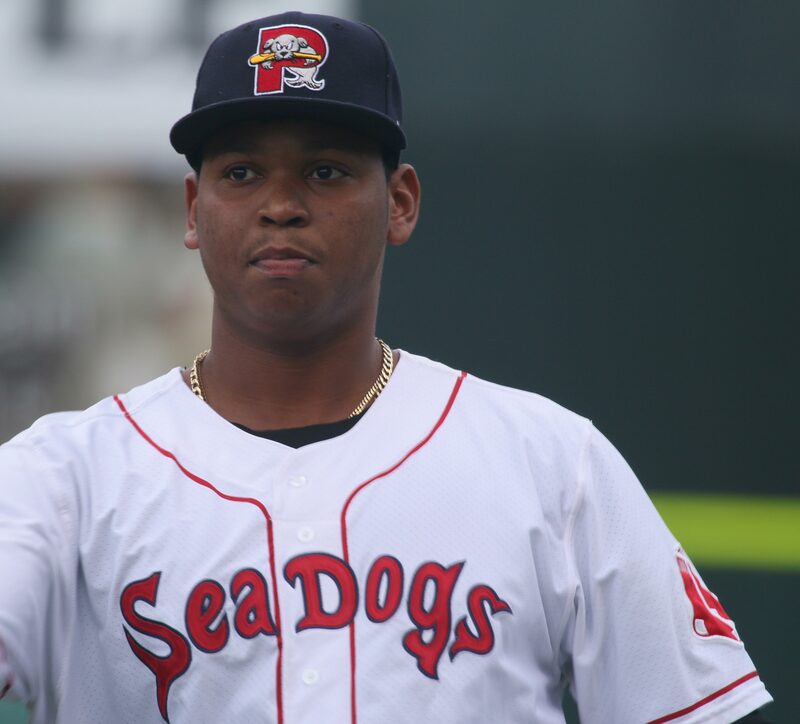 How long will 3B Rafael Devers stay with Portland? 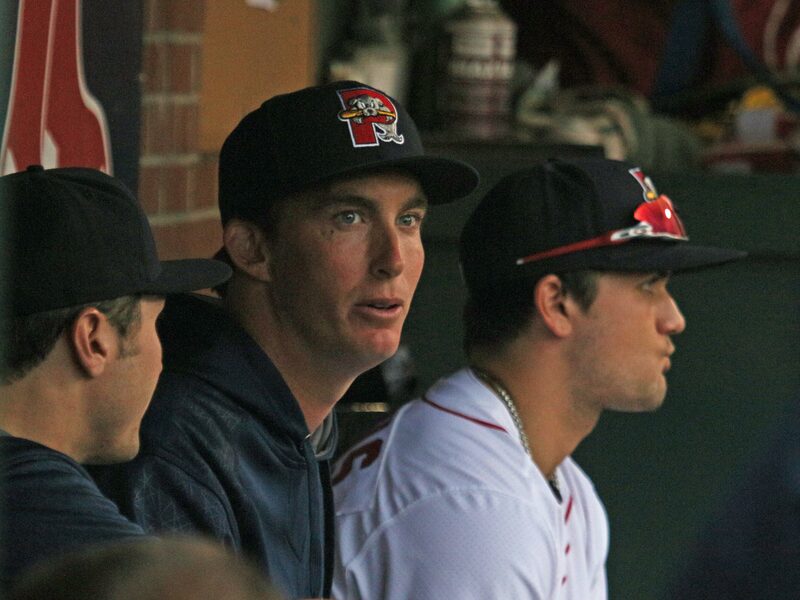 Also on hand was former Sea Dog Henry Owens. Two years ago, Henry was on the fast track to Fenway. However, to date he has not been too effective above Portland. Much of the trouble was over ever-changing mechanics that led to too many walks. Henry will seek to get a consistent handle to his mechanics in the weeks ahead at Portland. What about Slugger? The drizzle started after Eduardo finished his three innings. I value my camera too much to risk damage from rain. I wonder if Slugger ended his lifetime losing streak? 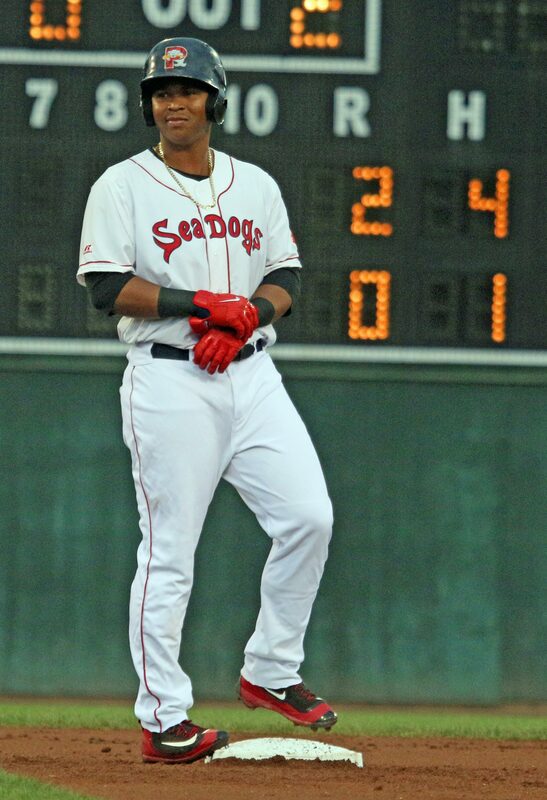 Thanks to Chris Cameron for arranging my Hadlock visit. 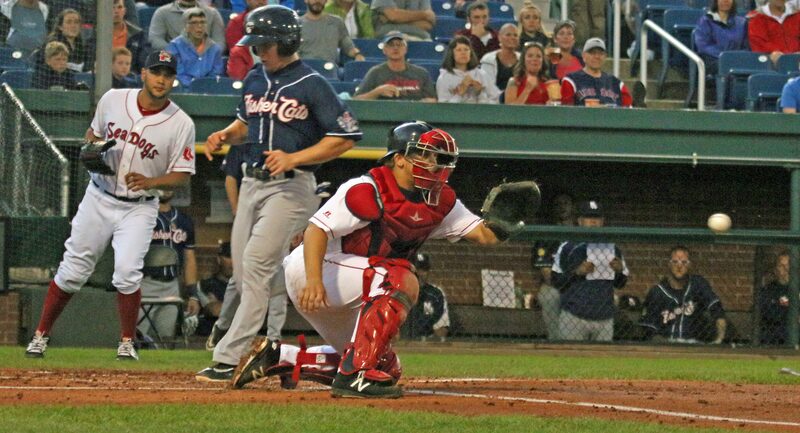 (Pictures from the Portland/New Hampshire game.) Clicking on a picture will cause it to enlarge significantly. 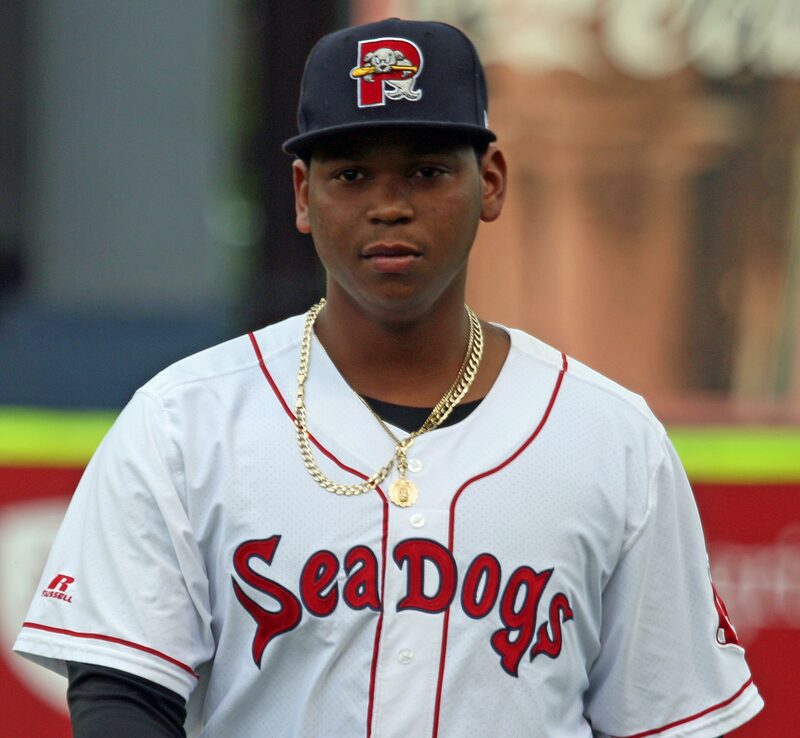 Rafael Devers in the Portland dugout.